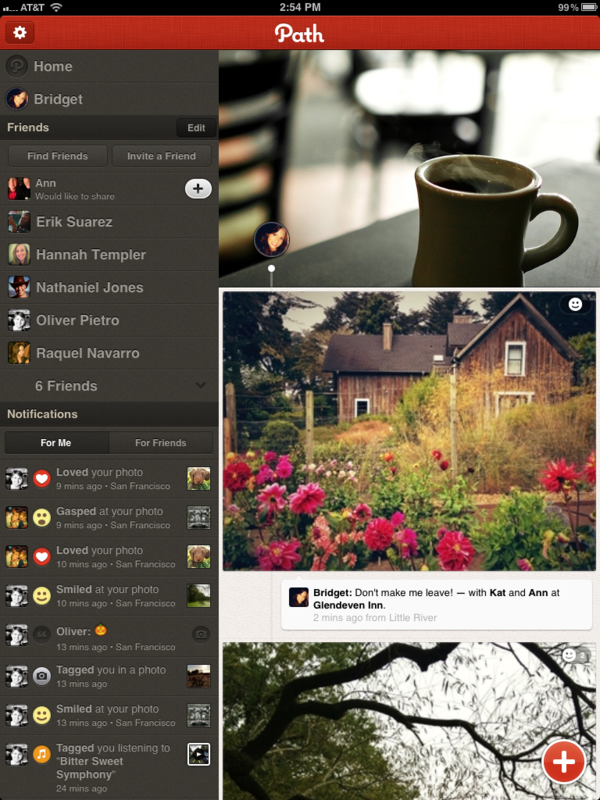 Finally, Path, the personal social network, has come to the iPad. A day before the release of Apple’s new iPad mini tablet, the company is releasing its long-awaited and highly-demanded app for the tablet. Over the past two years, the company has been on a roll making some advancements to a social network that is akin to being at a family gathering and sharing what you’re doing on the weekend. From its recent partnership with Nike or the recent update to the app itself to allow users to share books and movies that they’re watching now, lots of improvements are being made to the service. The move to the iPad is an obvious choice for Path, and today’s launch wasn’t unexpected. It was just this past summer when founder Dave Morin told Bloomberg TV that his company would release an iPad version this year and here we are. But why focus on the iPad? Well, Morin tells us that 70% of its users are on iOS devices and the iPad presents a new frontier for it. He believes that the future is mobile and all about the touch interface, which is probably why he doesn’t have any plans for a desktop version. Apple CEO Tim Cook agreed by saying that last month, more iPads were sold than PCs. The iPads are here to stay and Path wants to make sure it’s a part of that new reality. 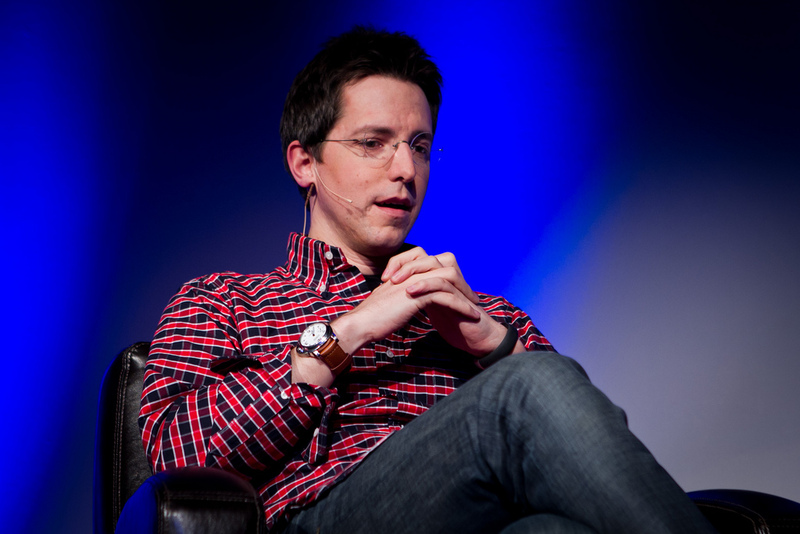 In building the startup’s first tablet application, Path needed to make sure that it would work across all the different devices (i.e. iPad, iPad 2, the new iPad, and the iPad mini). Some small adjustments needed to be made in order to accommodate to make sure that the same user experience is had across all platforms. And yes, the great design that many have come to find Path represents has definitely been carried over. For Morin, he believes that the iPad is that one device that you’ll look at in the morning to read the news, check your email, or surf the web before you go to work, and also the one device you’ll use right before you go to bed. He sees what’s happening on the device as something that is complementary to the iPhone. When downloaded from the iTunes store, at first glance, you’re going to obviously notice that there’s much more real estate to play with — your friends list, along with your news feed are all expanded and allow you to scroll through just like you would on your mobile device. The action buttons where you can list your thoughts, upload an image, mark what music, movie, or book you’re reading, or even list yourself as asleep, have been enlarged to account for hand gripping on the device. But perhaps the newest concept to grace the application is the ability for it to revert to landscape mode. Currently, its only orientation is portrait by default. With this new feature, users can flip their iPad to landscape mode and watch as the entire interface transforms into something more akin to a slideshow. It’s still Path, but a brand new way to experience it. Morin calls it Life in Landscape and it’s a way for you to see all key photos and media for one day on a single screen. Life in Landscape contains images, check-ins, videos, movies, music, books, etc. from your friends. You can stick with landscape mode and view all the other days you’ve been on Path like this — it’s a new and creative way of summarizing what’s been happening in your personal life. You can view more information within each individual item — and no, the size or placement of an image does not mean anything. If you find that someone shared that they’re watching a movie, you can view more information about the actors and other related content right on the iPad through Path. Similarly, if someone says they’re listening to a song, you can listen to it as well through the app, but also view related pieces of art and find out what friends like that type of performance. Each screen within the Life in Landscape mode has a map that displays your friends’ check-ins, runs (provided through the Nike+ Fuelband feed), and much more. The expectation of this iPad app is that it will reinforce the fact that the company wants to build the best mobile/social experience in the marketplace today and it’s been focused on that all the time. Path is seeing impressive growth since it started a couple years ago. Morin says that it’s experiencing something similar to what his previous employer, Facebook, encountered around the same time. Not bad for a company with over 3 million users. 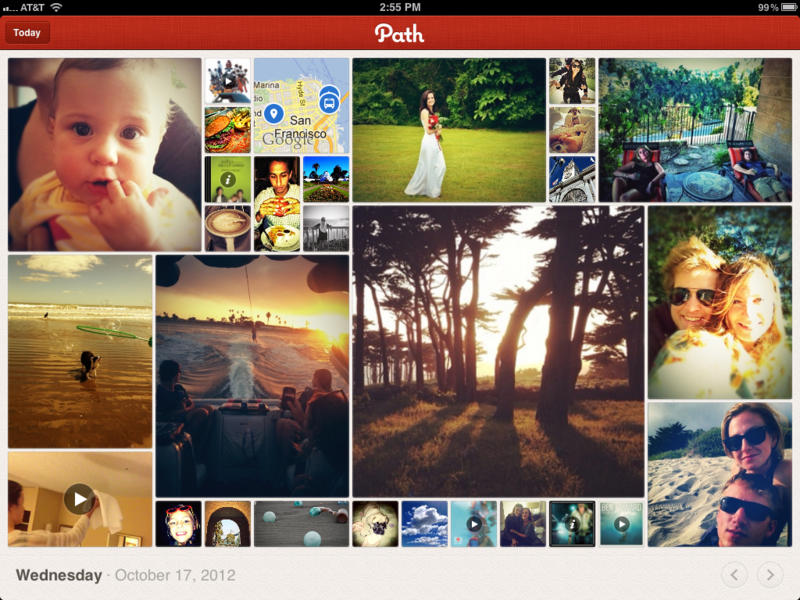 Right now, Path is only focused on creating an app for the iPad. It doesn’t have any other plans to build versions for Android or Windows Phone 8 devices.